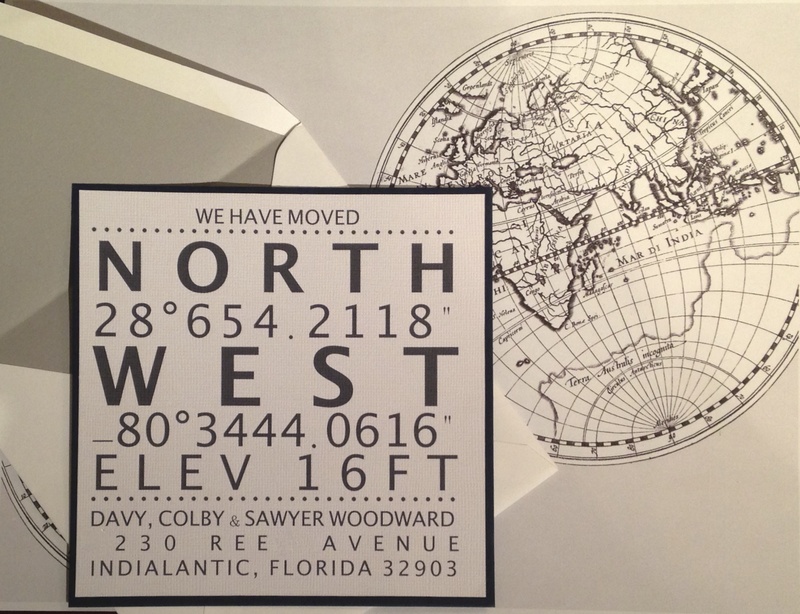 What a fun way to let your friends and family know you have moved, send them your “New Coordinates”. Square 5 ¾ X 5 ¾ navy card with a top layer of solar white textured linen. Solar white 6X6 envelope hand lined in fog gray, return address included. Presented in a resealable cellophane bag.